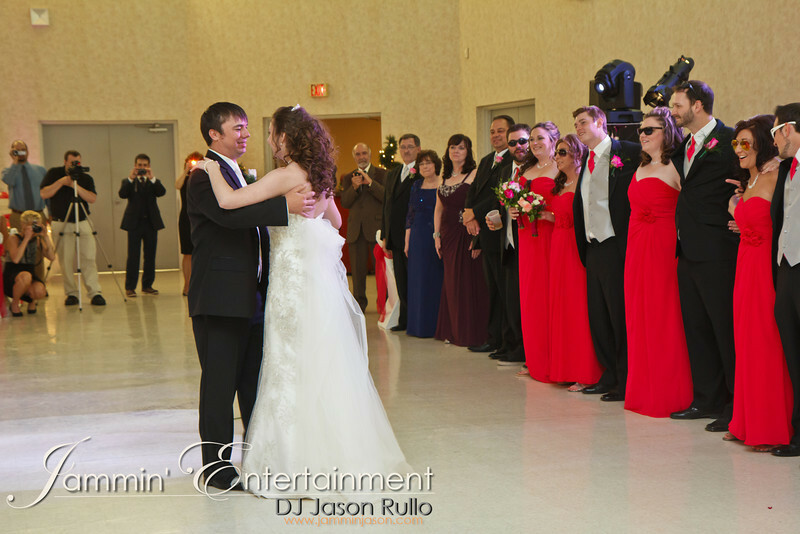 On Saturday November 14th, 2015 I had the honor of providing DJ and MC Services for Julie and Frank. 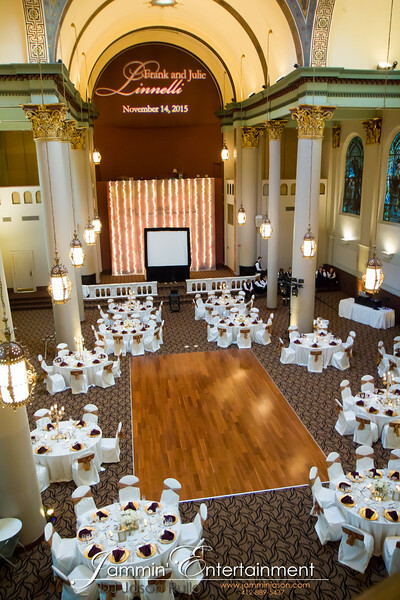 Their wedding reception was held at the beautiful Pittsburgh’s Grand Hall and The Priory. Working with Julie and Frank was so fun. I went to college with Julie, we even were members of the campus radio station together. 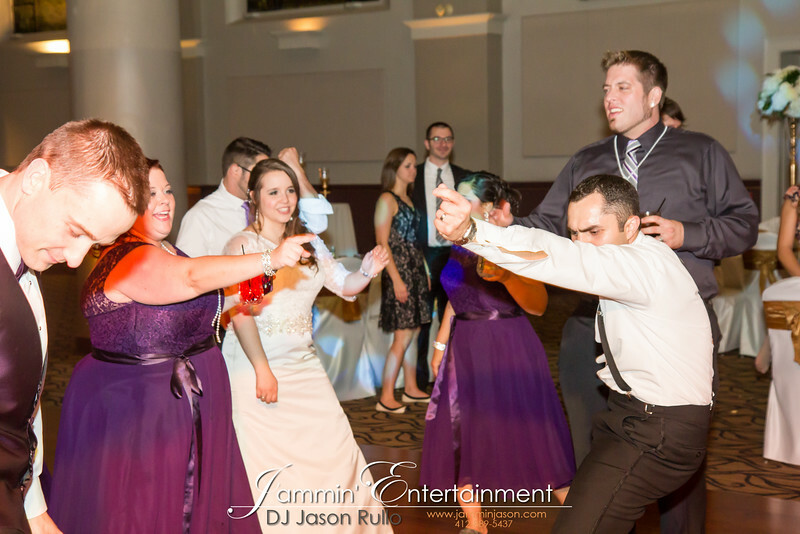 Frank is a really great dancer and that became apparent when he and his Groomsmen did a choreographed dance to Backstreet Boys’ – “Everybody”. Not to mention their awesome intro video used right before I introduced them into the room. 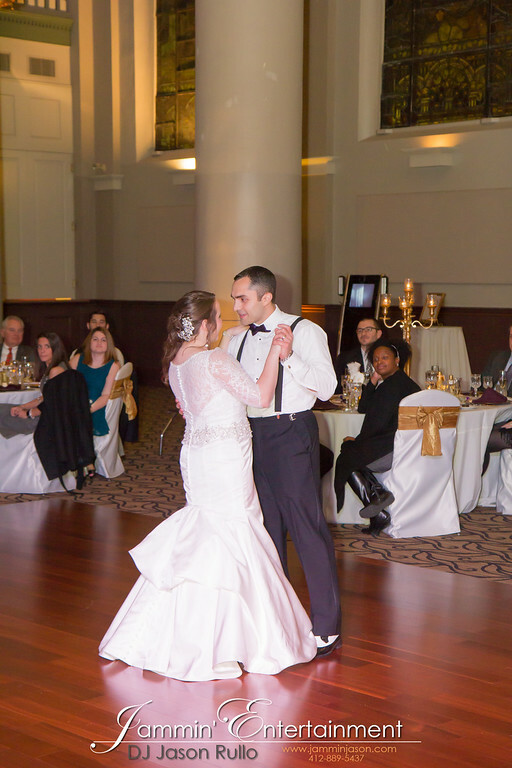 Julie and Frank also had taken dance lessons for their first dance to “Thinking out loud” by Ed Sheeran. It was beautiful. The guests were awesome and danced all evening. I provided a monogram that was projected above the stage and it looked beautiful up there. Check out more photos from their wedding at this link. Congratulations Jake and Deana! Thank you for having me as your DJ and lighting provider! This was a great crowd and lively bunch! 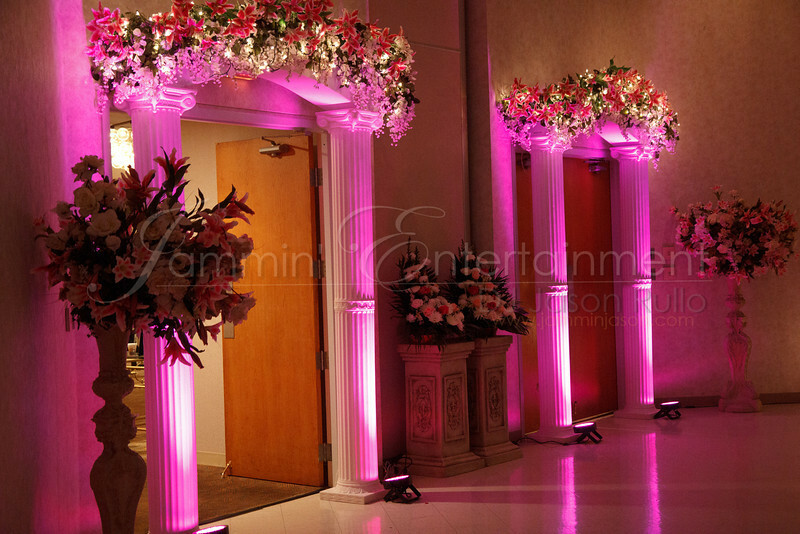 For this wedding reception I provided uplighting throughout the room accenting focal points. 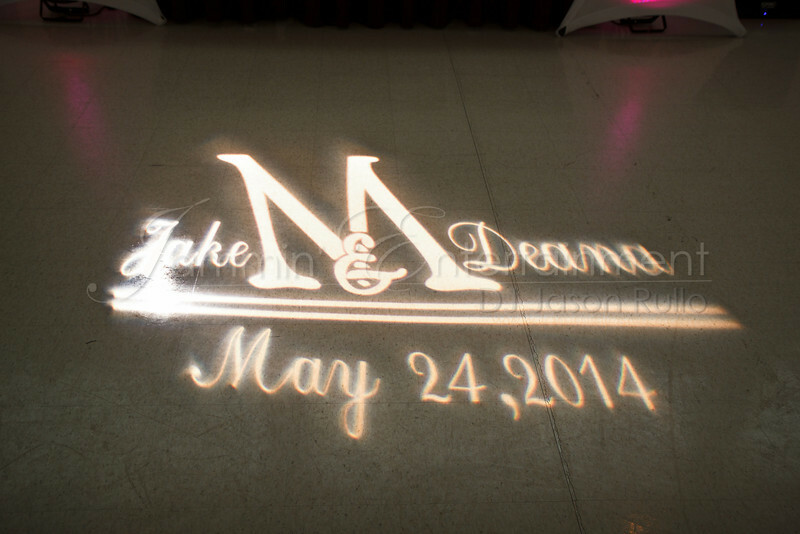 I also included a projected monogram on the dance floor. 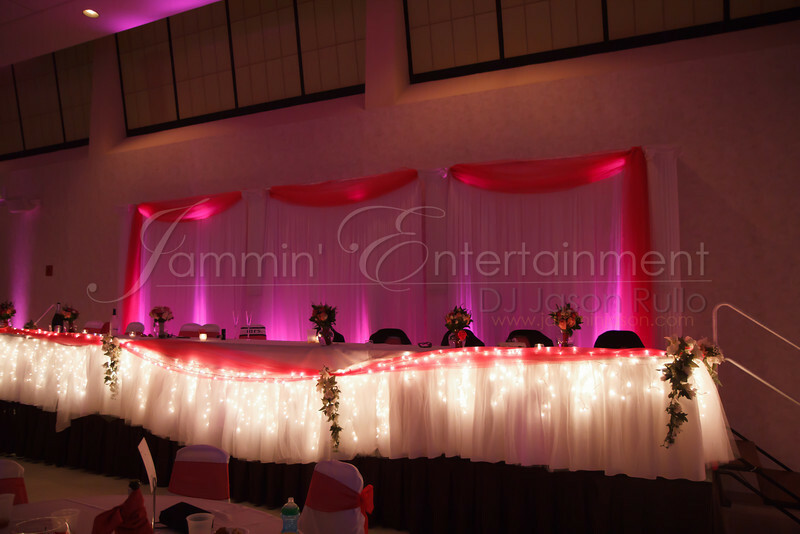 Here’s a photo of some of the decor lighting I provided last evening for Jake and Deana’s Wedding Reception at St. John’s Cathedral Center in Munhall, PA.